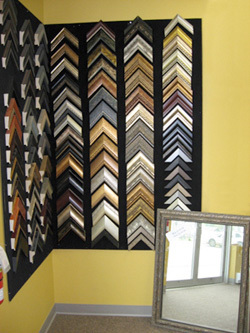 Frameguild is a supplier and distributor of brand name products to the Custom Picture Framing Industry. Comprehensive product lines include Bainbridge® Preservation Artcare™ Matboards; Specialty and Fabric Matboards; Bainbridge Archival and Specialty Foamboards and Mounting Boards. Their vast moulding line embraces Nielsen® Metal Moulding, over 1000 wood mouldings including Nurre Caxton® Wood Collections and Renaissance Polystyrene Mouldings. Contract OEM mouldings and a box moulding program are also available. A full line of equipment, supplies and TruVue® glazing options will meet all custom framing needs. Frameguild sells wholesale only to Custom Framing Retailers, Photographers, OEM Picture Frame Manufacturers and Distributors for the Picture Framing industry. Frameguild is a division of Nielsen & Bainbridge Canada Inc.